Lowrider is a popular auto-flowering cannabis seed that was actually developed for a very rapid growth cycle in which it transfers from seed to bud in just 8 weeks. Just like the name it has a very short height and it is extremely versatile. The cannabis strain is reliable and stable in terms of properties and is product, which is an outcome of many generations of selective breeding; not to mention it is hermaphrodite-free and is non-deviant. Lowryder is considered to originate from the Indica superior strains like Northern Lights No.2 and William’s Wonder, plus a very unique and exotic variety called Mexican Ruderalis; this is a cross breed created more than 25 years ago. Being an auto-flowering cannabis strain, it straight enters the flowering stage after seedling stage, skipping the vegetative growth altogether. In simple words, when these seeds are planted, they sprout and grow few sets of leaves. After this stage they right away enter the stage of flowering on its own. This is why it is popular for being the quickest, most discrete and most compact cannabis plant available. Its high, taste and appearance easily make it a subject of envy to other strains. Even some of the finest weed types rarely have such strong traits. 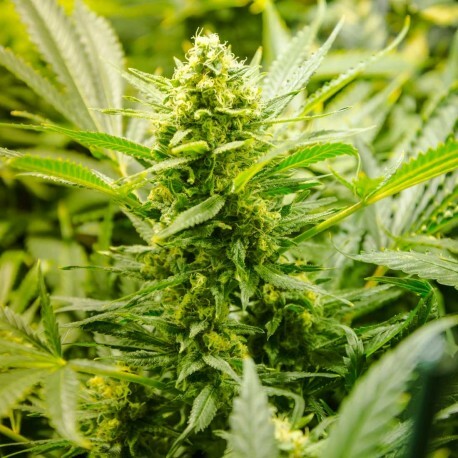 This autoflowering cannabis seed can be easily purchased from https://www.high-supplies.com at a very reasonable price of € 30. The seed is also known for its excellent resin production and high potency. When these auto-flowering seeds are grown indoors it should be subjected to lighting routine of 20 on and 4 off. These seeds easily finish off after 70-75 days from germination. Sometimes, this may be a period around one or two week longer than many other autoflowering strains, but the yields at the end are much better and the wait is totally worth it. Because of its excellent turnaround time and short size, these weeds are an absolute favorite with urban growers as it is very small to easily avoid any kind of unwanted attention. Get the High That You Wouldn’t Have Experienced Before! The effect of this unique and innovative strain given an instant high unmatched by any other strain and the body stone that the smoker feels soon after makes him a loyal fan of Lowryder cannabis strain. Lowryder is the perfect example of how auto-flowering seeds are consistently growing in quality and popularity. Breeders know it for a fact that female plants give much better yield and after flowering within 17 days you can find out whether it is a male or not and within 21 days you get confirmation of the plant being a female; this is quite fast and is very helpful for the breeders to plan their harvest accordingly. Lowryder 2 is yet another popular autoflowering version, which even though doesn’t eat up too much of space it very much fills the growing space after growing fully. It normally takes few days more than 60 days for flowering and is also considered equally good as the original Lowryder. As a breeder, it is important to get a high quality seed like Lowryder to expect high quality yield. I grew this autoflower and Northern Lights autoflower as my first grow and WOW, the quality was beyond what I expected. Now I wish I had grown all 5 seeds at one time because it is the one to beat. I'm now on my third grow (I have a tent set up in the guest room AND a closet that I turned into a grow closet. Having two separate grows at the same time can be challenging but why not? My next grow will be Lowryder again because I miss its buzz! Northern Lights was a great buzz but the taste was a little funky. Yes, I did a full 2 week flush on both strains but NL had a funky taste that did ease up the older the buds got. If you're on the fence...buy Lowryder. Excellent service, and they grow like weed! How long does shipping take to AZ USA? do you ship to tenn.
I´m from Sweden and it is hard to choose among all these plants. I want to make medical cannabisoil from a balanced content of CBD and THC. I have balcony and pots to grow in. Wich one would You recommend me to coose then. Are your lowryder autoflowers feminized or regular seeds? Do you ship to California, U.S.? Hi is it different to germinated autoseed ? Maybe a dumb questian but i plantet at the same time femmi blue mystic and every blu has come up. and the auto wite widdow has not sprung yet 10 days ago i put dem in det soil after a week in cotton and varm water. Dö you Ship to Sweden?, if so, wich courier do you use för Sweden ? Do you ship to Ecuador, S.A.??? and if so through which courier?? ?